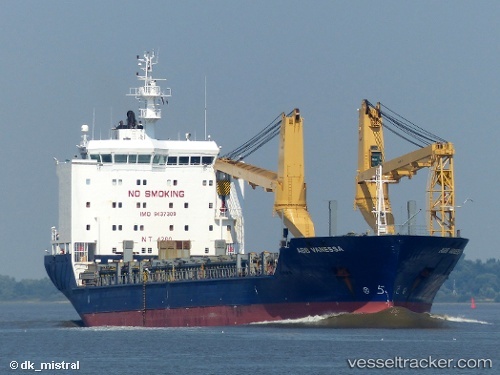 The "ABB Vanessa" lost its starboard anchor in Ems anchorage No.9, in position 53 38.0 N, 006 10.4 E, together with 10 shackles on March 3, 2019. The loss was probably caused by the gale-force wind. The ship had sailed from Dunkirk on March 2 and berthed at the South Quay in Emden on March 5 at 6.10 p.m.